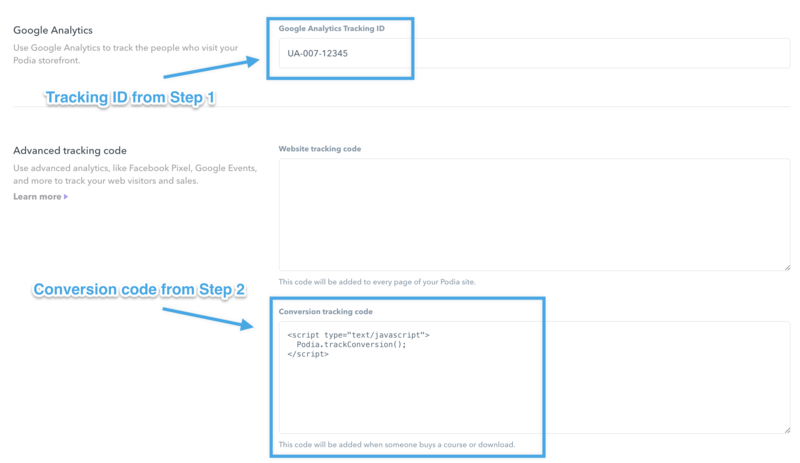 You can use Google Analytics to track purchases events on your Podia Storefront. Google Analytics Event Tracking and other advanced analytics tools are available on the Shaker plan. You can learn more about Podia's plans on our pricing page. If you haven't already done so, add Google Analytics to your Podia storefront. Podia will now send Ecommerce and Event data to Google Analytics whenever a purchase is made. Disable any ad-blockers and use private browsing (incognito mode) when testing your Google Analytics installation. Keep in mind it may take up to 24 hours before data is visible in Google Analytics.